Nancy's experience as a registered nurse ranges from pediatrics to geriatrics and from long term care to Alzheimer's research. However, nothing has been as rewarding as the work she is currently doing as a Healing Touch Certified Practitioner and Instructor. In addition to her private practice, Hudson Center for Healing Touch, she teaches Healing Touch Level 1 and Level 2 classes throughout Northeast Ohio and is willing to travel wherever there is an interest in learning Healing Touch. 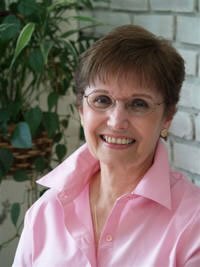 Nancy especially enjoys offering Introduction to Healing Touch presentations at hospitals, hospices, nursing homes, church, community, business and professional organizations. She facilitates a monthly practice/support group for HT students and practitioners at Medina Hospital, a Cleveland Clinic Hospital, in Medina, OH. She is a charter member of Healing Touch Professional Association, has been a member of the American Holistic Nurses Assoication since 1997 and is the Assistant Editor of Healing Touch Program's Energy Magazine. She also offers wellness workshops which emphasize practicing self-care as a means of empowerment to manage stress and promote healing in body, mind, emotion and spirit. Nancy's love of and passion for Healing Touch is conveyed every time she works with a client, offers a presentation or teaches a class. A Level 1 student wrote on her evaluation - "Nancy is one of the most caring and compassionate people I have ever met. What a wonderful person and instructor!" Another wrote, "Having no background in nursing or other care giving profession, I was pleased at the way Nancy facilitated my learning and helped fill in the gaps."